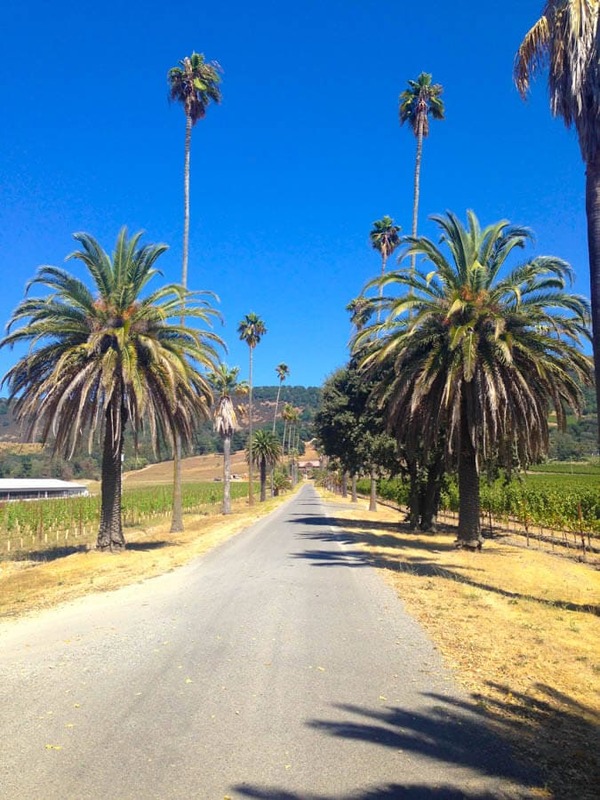 Are you traveling to Napa Valley? With hundreds of wineries to choose from, how do you choose the best? 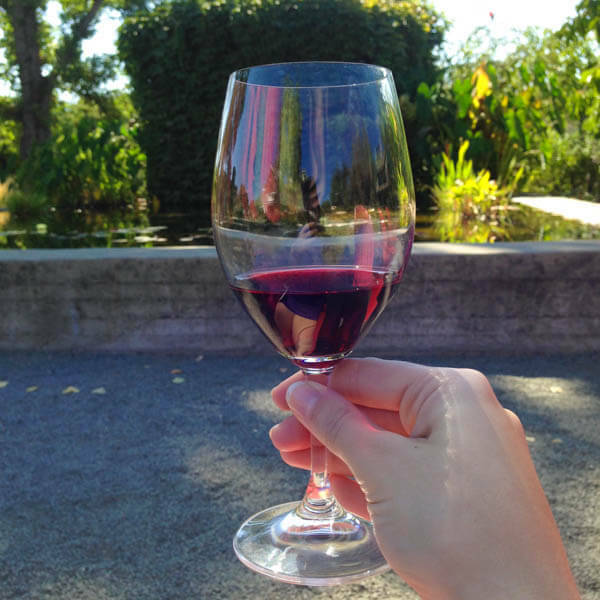 Check out my list of the best wineries to visit in Napa Valley! 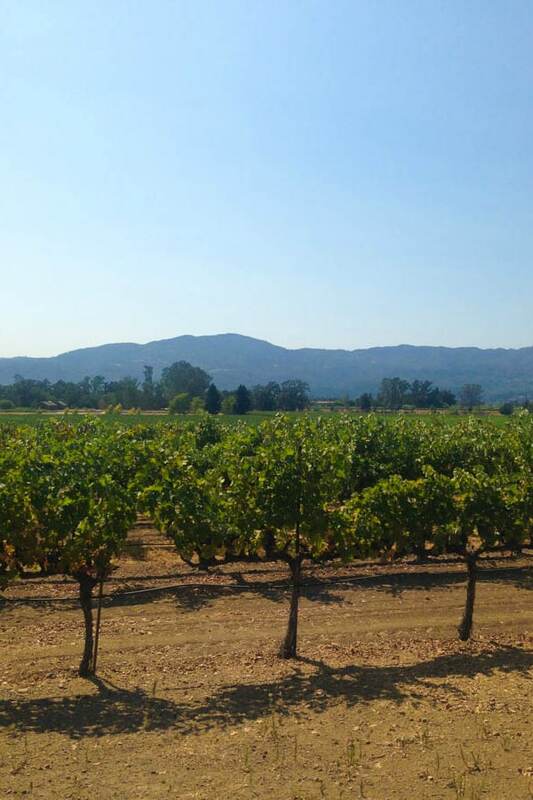 With literally hundreds of wineries in Napa Valley, which ones do you choose to visit? From the ten or so wineries that we visited on our recent trip to Napa Valley, I included four of the best Napa Valley wineries. As a bonus I’ve included an additional winery in Sonoma Valley which is just a short drive from Napa Valley. The wineries I included in this list are in no particular order. They are all exceptional wineries that must not be missed. I judged the wineries not just on their wine, but also the people, scenery and history. I love wine, but we also love fun people, beautiful scenery and rich history. 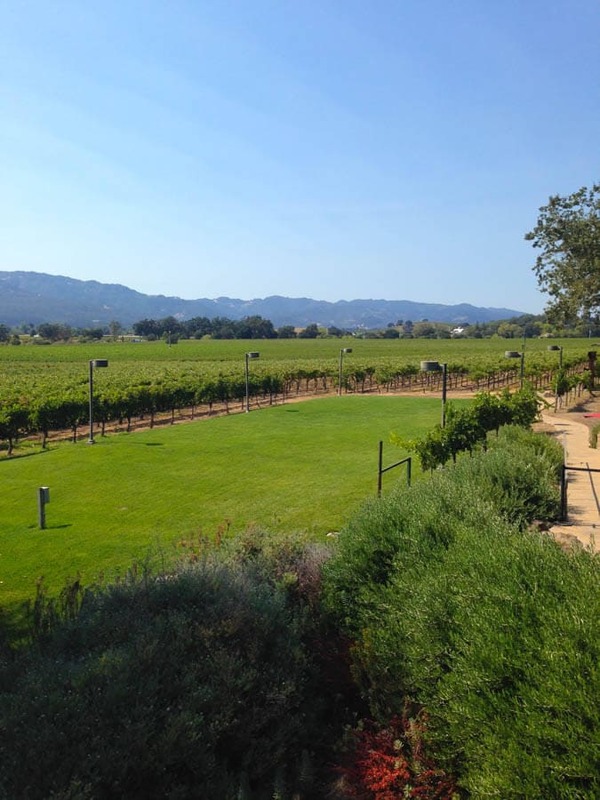 After attending an olive oil tour and tasting at their olive mill, we headed across the street to Round Pond‘s winery for an Estate Tasting on the terrace. I had high expectations for Round Pond because I heard great things about their wine tastings. Our actual experience exceeded all expectations. 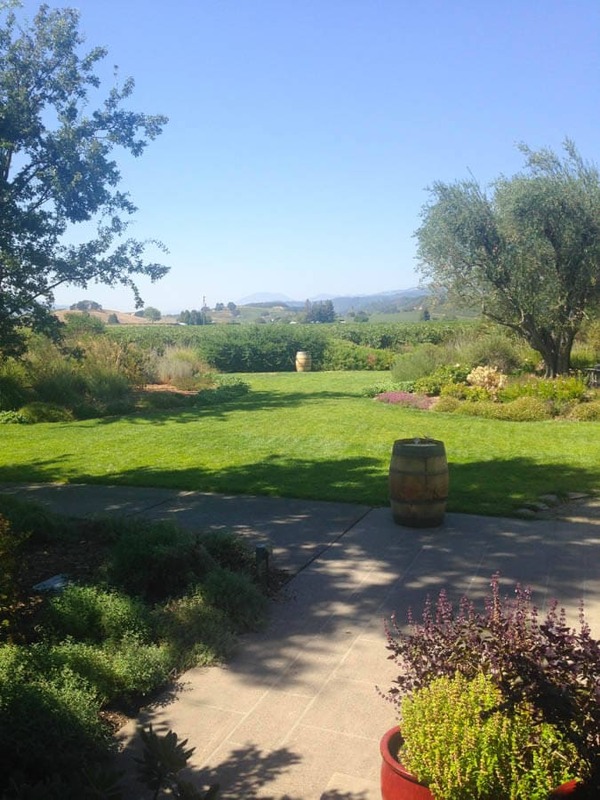 After touring the gardens and meeting their winemaker, Muiris Griffin, we headed to the terrace for a beautiful tasting. 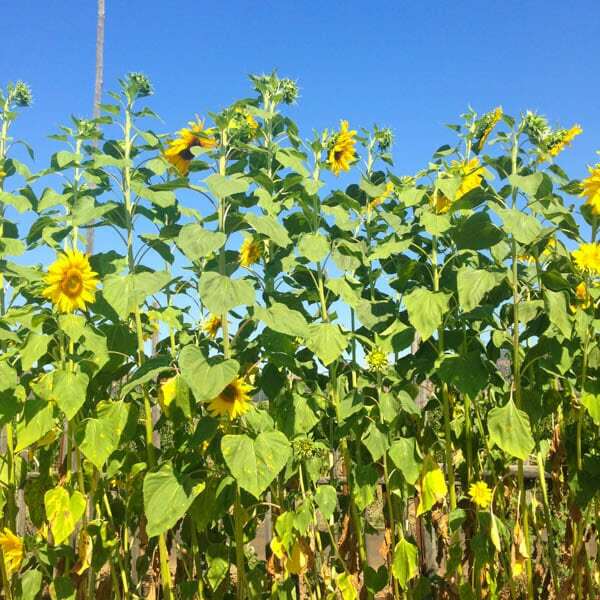 Round Pond is a Rutherford farm and winery with 362 acres of vineyards, 5 acres of biodynamic gardens, 12 acres of olive orchards and one of only two olive mills in the region. The property is gorgeous and the tasting room and terrace is one of the most beautiful in the valley. 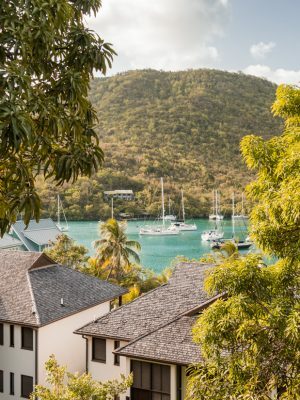 Driving up the palm tree lined driveway, you know that you are visiting a special place. One thing that I noticed about Round Pond was that everyone was so friendly. The winery is one of those places where you get the feeling that everyone loves their job. I felt a real sense of family at Round Pond. One of the owners was dining on the terrace with her family and stopped to welcome us to the winery. Everyone is welcoming, kind and personable which really helps make the entire experience top-notch. Not only were the location and grounds beautiful, but the wine is quite exceptional as well. One of the highlights of my trip to Napa Valley was tasting wine from an actual barrel and meeting a wine maker. It was my first time doing both and it was such an awesome experience. More wine, please! 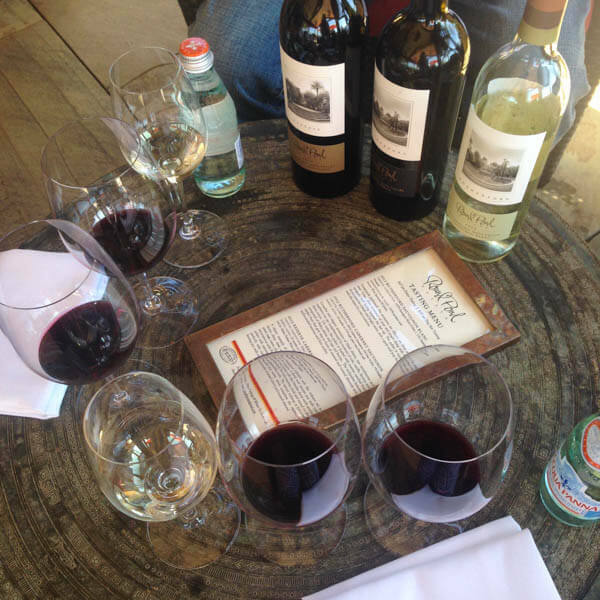 Sit back, relax and enjoy some of the best wines that Rutherford Valley has to offer. 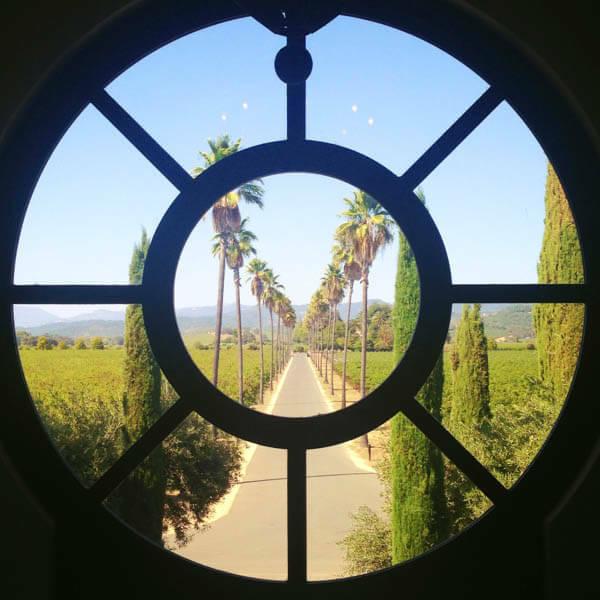 Don’t miss Round Pond Estate on your next trip to Napa Valley! Frog’s Leap is another one of my favorite wineries in Napa Valley. It is located in Rutherford, only a short drive from Round Pond. We opted for a garden tasting and were able to casually sip our wine while walking around the property. 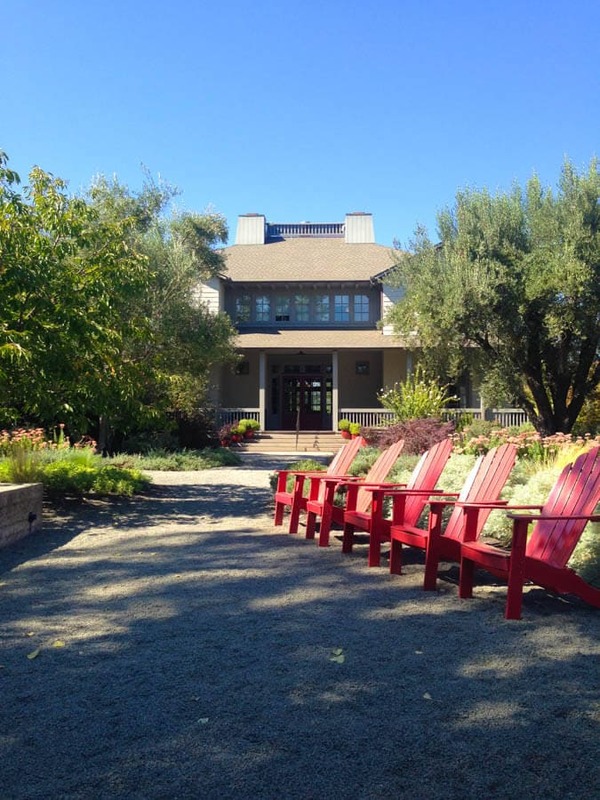 With Adirondack chairs scattered throughout the property and a beautiful garden to stroll through, Frog’s Leap is a great place to sit back and enjoy the beautiful scenery and great wine. 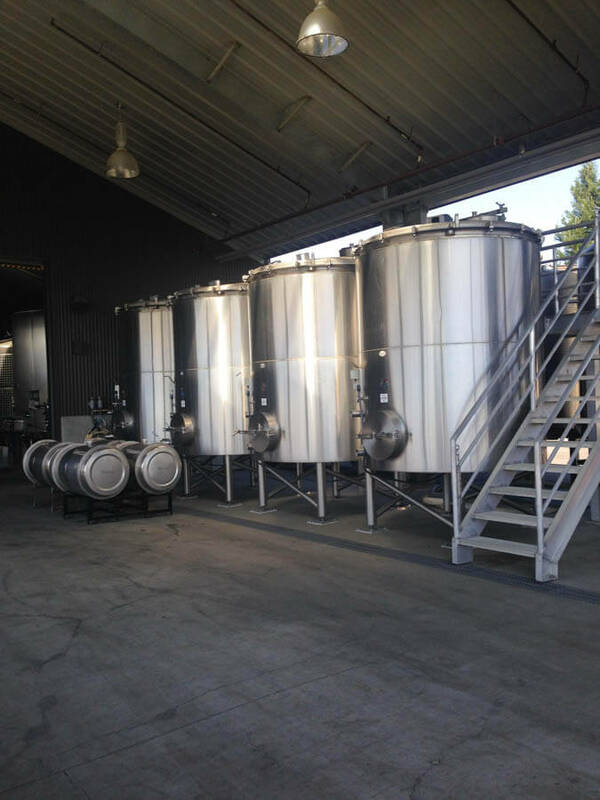 Frog’s Leap is well known for the advancement of organic grape growing and dry farming. They have been farming organically since 1988 and strongly believe that their growing practices lead to higher quality wine. After a visit, you can clearly see that they take pride in their farming practices. By tasting a few sips of their Cabernet Sauvignon, Sauvignon Blanc, Merlot, and others, you can taste the high quality of the grapes grown on their property. Frog’s Leap is one of those places where you can truly kick back, relax and enjoy the day. Our time at Frog’s Leap was some of our most relaxing time spent in Napa Valley. 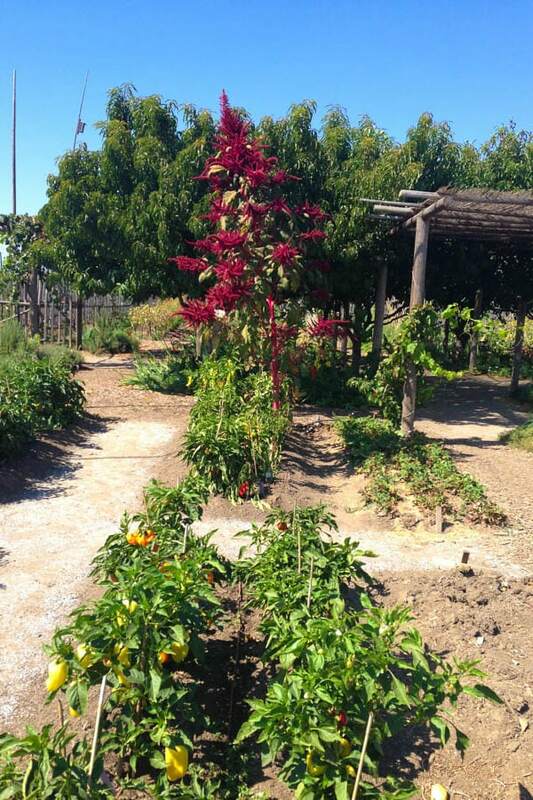 Sip some wine, walk around their gardens and learn all about the winery! As a small winery located in St Helena, Chase Cellars is a quiet and charming place nestled in a beautiful location. Head over to Chase Cellars and spend the afternoon tasting wine made from the grapes grown right in front of your tasting table. Chase Cellars has been growing grapes for over 100 years and you can still see the older grape wines producing exceptional grapes. Chase Cellars has amazing Zinfandel that should not be missed. 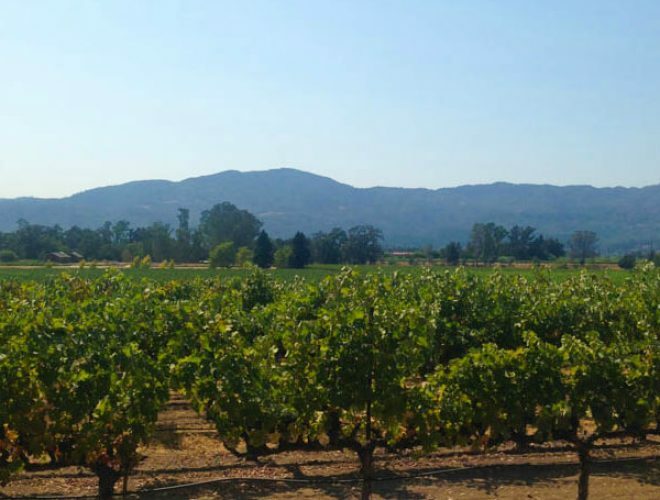 Make an appointment for a tasting at Chase Cellars to taste some exceptional wine and learn all about Hayne Vineyards and their highly rated Zinfandel! Do you love sparkling wine? If so, I’m sure that you have tried Mumm Napa wine or at least seen it readily available in wine shops. 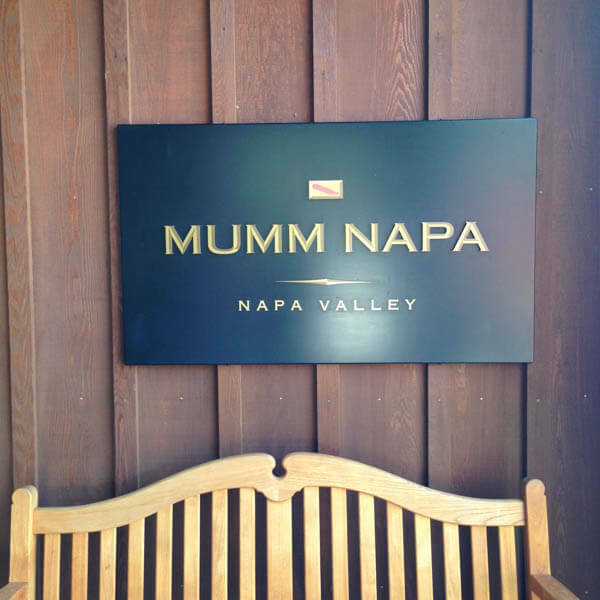 Mumm Napa is a large scale, well-known winery with exceptional grapes and even better wine. I love Mumm Napa because you can almost always just stop in for a visit and grab a seat on the patio overlooking the vineyards. 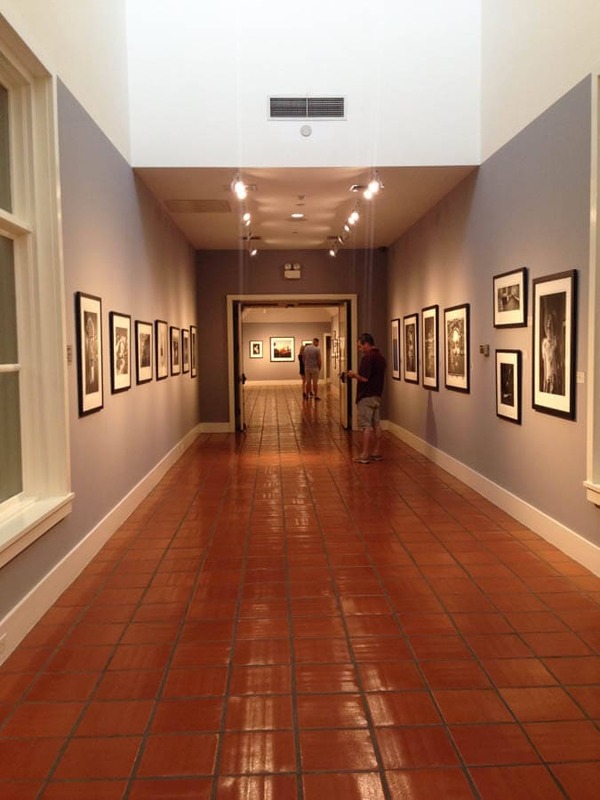 Take a tour, taste some wine and visit the fine art photography gallery located on the property. Mumm Napa also has a nice gift shop to browse while you continue to sip your wine. 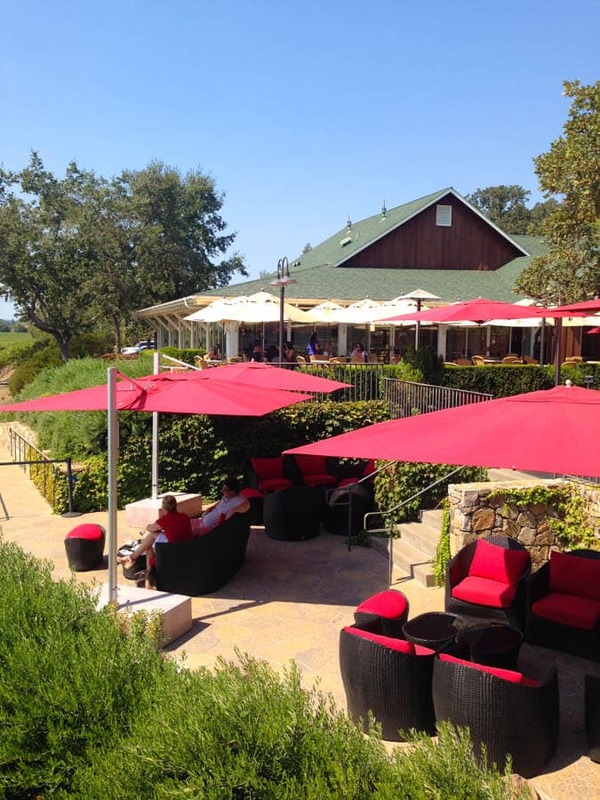 Grab a seat on the patio, relax a little and enjoy the beautiful scenery at Mumm Napa located in the heart of Napa Valley! Even though Scribe is actually located in Sonoma Valley, it is only a short drive from Napa Valley and is a winery that should not be missed. Make an appointment and you will be treated to a beautiful tasting at a picnic table located at the top of a hill overlooking the valley. They provide a few treats to snack on while you enjoy your wine. The people at Scribe are really fun people to talk to. We learned so much about the history of the land and how the current owners decided to purchase the property. 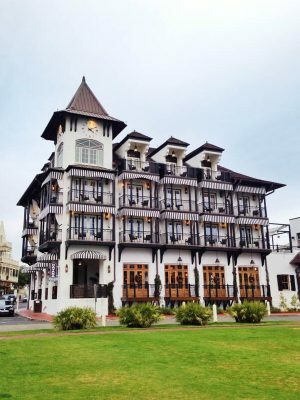 The hacienda, or historical home, located on the property is currently undergoing renovations. I am sure it will be an amazing historical place once the renovations are complete. Scribe was one of my personal favorites during my visit to Napa and Sonoma Valley. It is a unique winery with beautiful views, interesting people and the best wine. I highly recommend that you add it to you list of must-visit wineries. Try all the wines, but my personal favorites are the Riesling and Estate Chardonnay. 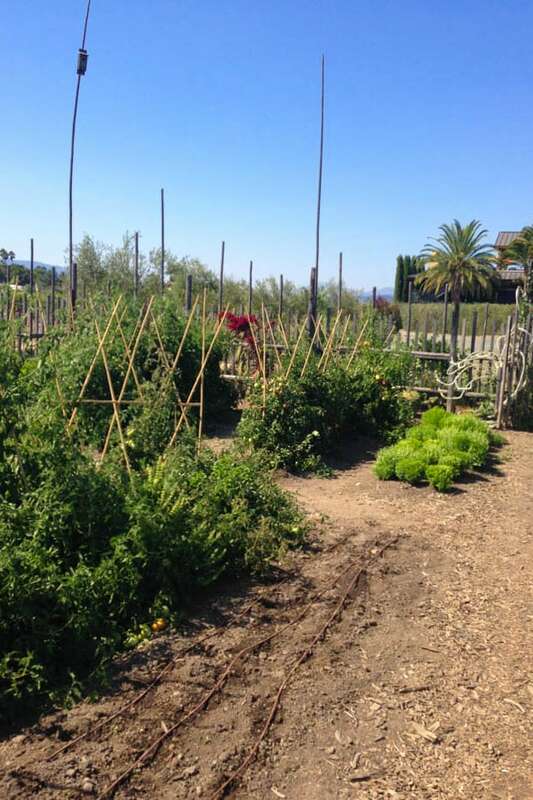 Round Pond: Beautiful gardens, friendly people and a beautiful tasting room and terrace. 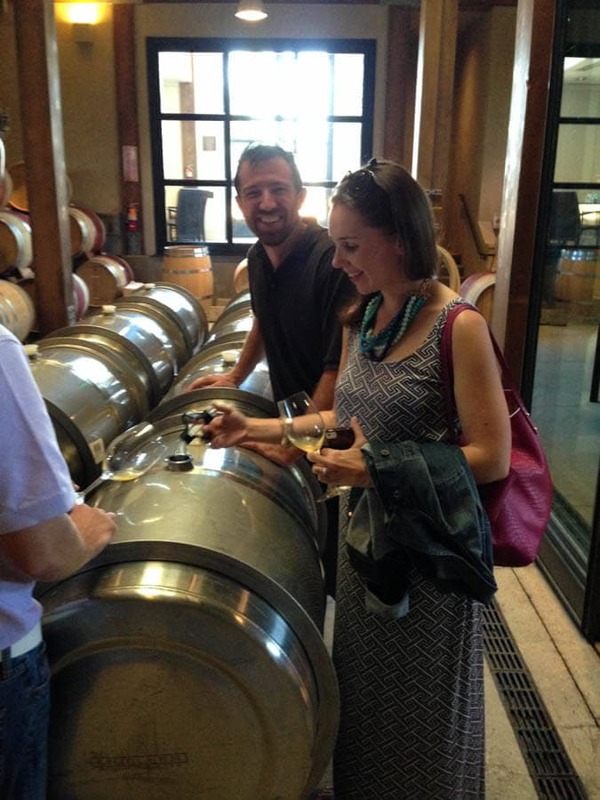 Make an appointment for both the Estate wine tasting and olive oil mill tour and tasting for the full experience. Frog’s Leap: Relaxed inexpensive garden tasting. Stroll around the property admiring the breathtaking vineyard views. 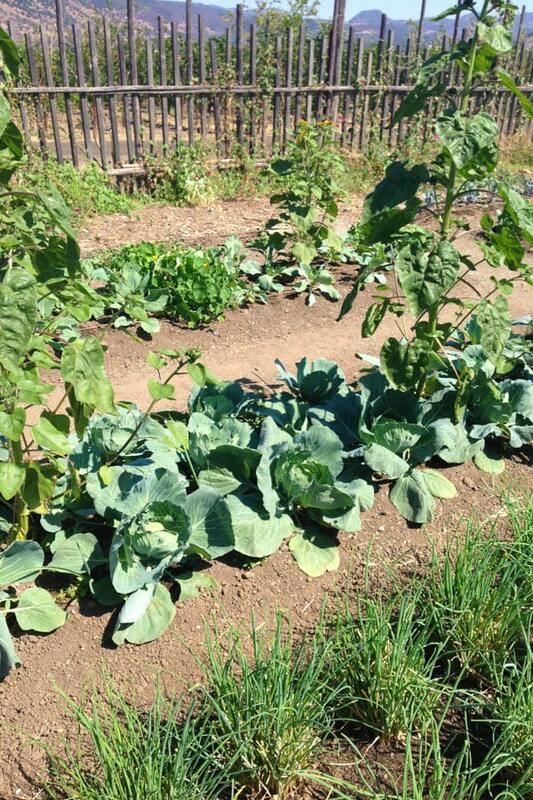 Don’t miss a tour of their organic gardens. For a more formal tasting, book a signature seated tasting. 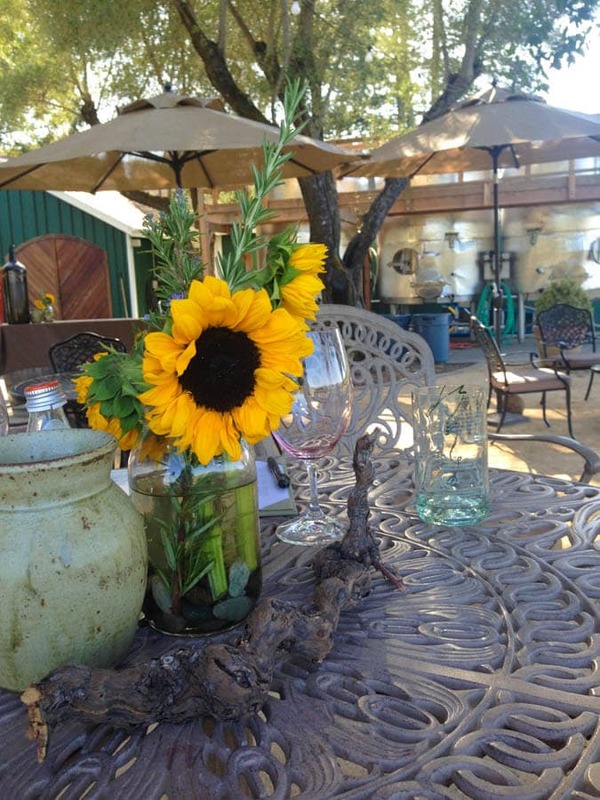 Chase Cellars: Relaxed and intimate tastings in a beautiful outdoor setting. 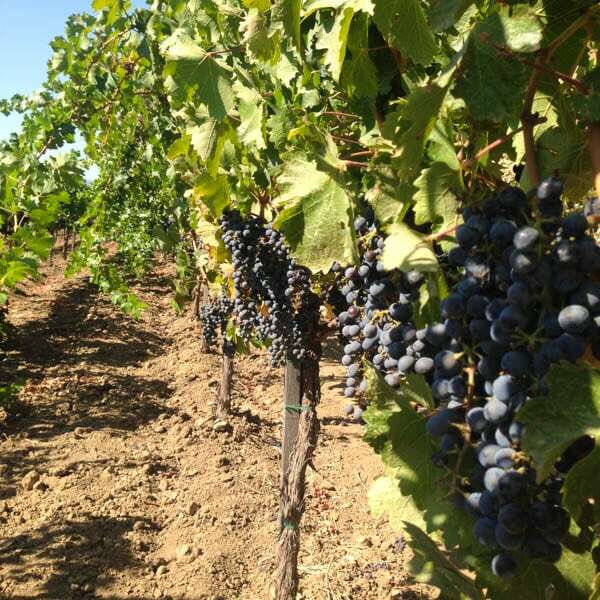 Make a reservation to learn about the history of the Hayne vineyard and sample some of the best Zinfandel in the valley. Mumm Napa: Beautiful and casual patio tasting. Take a tour of the winery and browse the fine art photography gallery. One of the most beautiful locations in the valley. Walk-in at your leisure or make a reservations for a terrace tasting to sample a selection of the limited production sparkling wines. Scribe: Located a short distance from Napa Valley. Fun, relaxed and youthful vibe. Great selection of wines. Make an appointment before you visit. 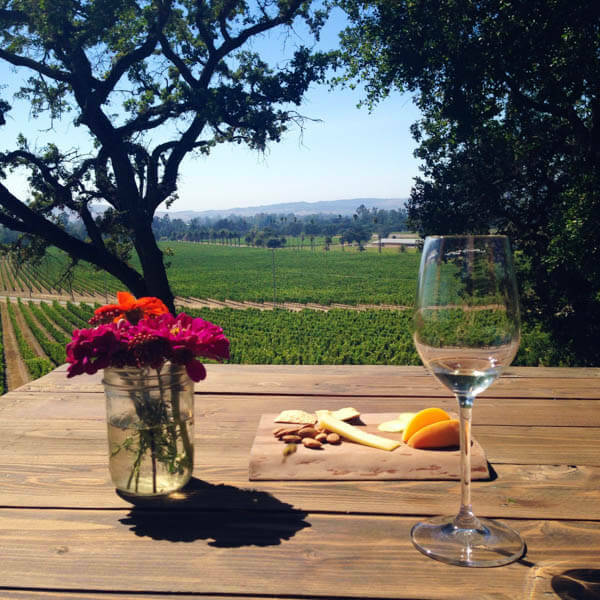 Whether you chose to visit one winery or all of the wineries on this list, make sure to enjoy the beautiful views, decadent wine and wonderful people in Napa Valley! Disclosure: I was not compensated in any way to write this post. I researched and visited all of these wineries on my own. I did receive a free tasting at Round Pond. All opinions are my own. 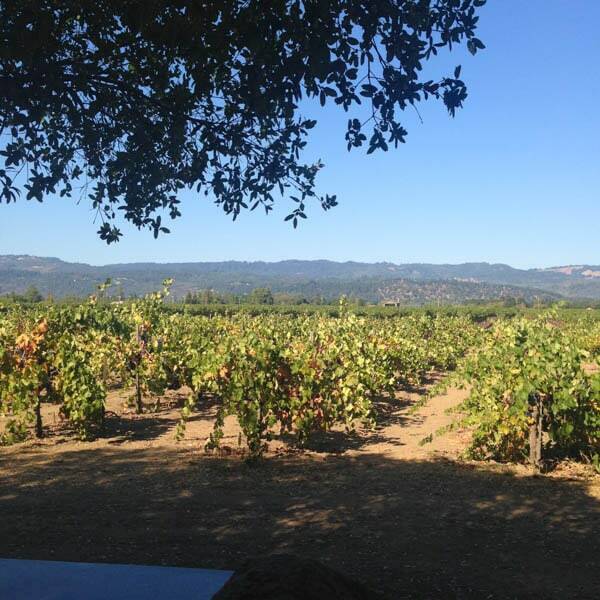 Ashley, I'm in Napa right now and am looking forward to visiting a few of the wineries you suggested. As of now, we'll be checking out Frog's Leap and Mumm Napa. This is such a great list, we visit Sonoma often but haven't been to Napa so it's great to have some recommendations. Have so much fun, Joanie! I love Napa because there is always endless wineries to visit and delicious food to eat. What a gorgeous set of places. Beautiful! I remember seeing your Instagram posts from this trip! :) Someday I will surprise my husband with a trip to Napa Valley, and this list of wineries will come in VERY handy then. ;) Thank you so much for sharing these! I have always dreamed about going to Napa! You captured it so beautifully through your photos!Hopefully someday I will make it! I love my visit to Napa Valley, but didn't make it to any of these wineries. Guess I'll just have to go back! Looks like a blast!! I have never stayed in Wine Country, I hope to go one day! The landscape is absolutely stunning. I would love to go there and sip some wine and just enjoy the views. They all sound like great wineries to explore. So beautiful! I think I'm in love with Frog’s Leap already! I have to agree, Round Pond is by FAR my favorite winery in Napa - it is beautiful, the wine is good, the olive oil is great! Love this post! 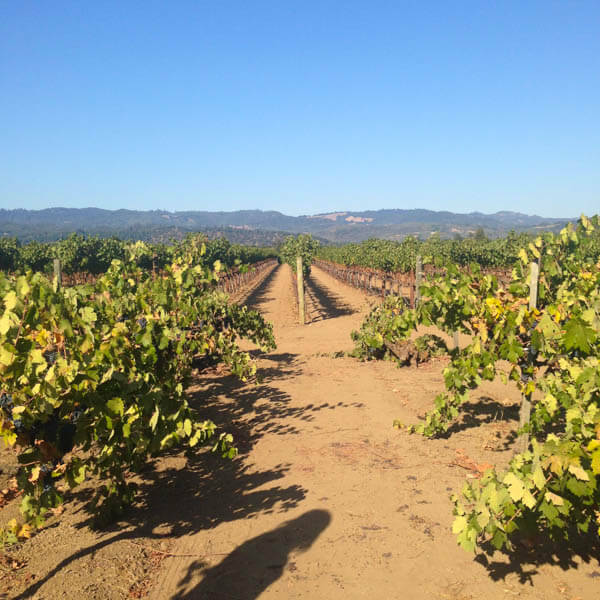 Great overview and tips for these wineries...and lovely photos, too! Makes me want to go wine-tasting today! I'm embarrassed to say that I've still yet to get to Napa. The photos are stunning! Definitely going to use your list when I finally make it out west! Such an awesome look at all those wineries! Great photos and I love the window shot at Round Pond! 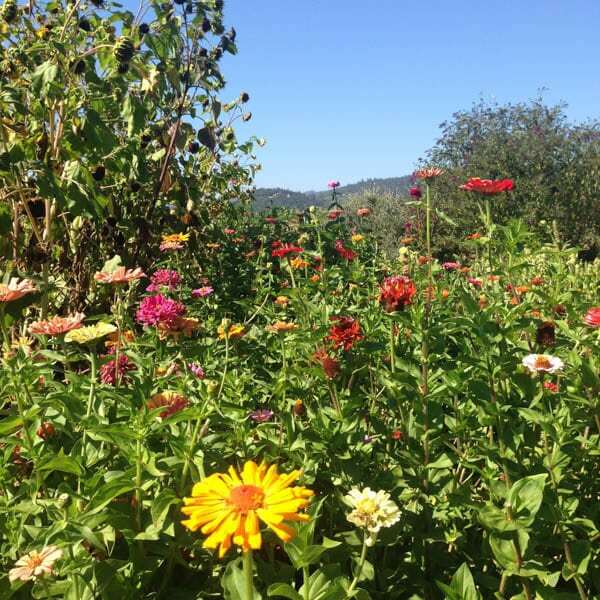 Man, I miss Napa. . love this post and all of your photos are gorgeous!!! and I have to tell you I love your necklace and dress in that one photo! You've made me fall in love with Napa all over again! I'm so glad I now have a list of wineries to visit the next time we take a trip there! Beautiful pictures Ashley! 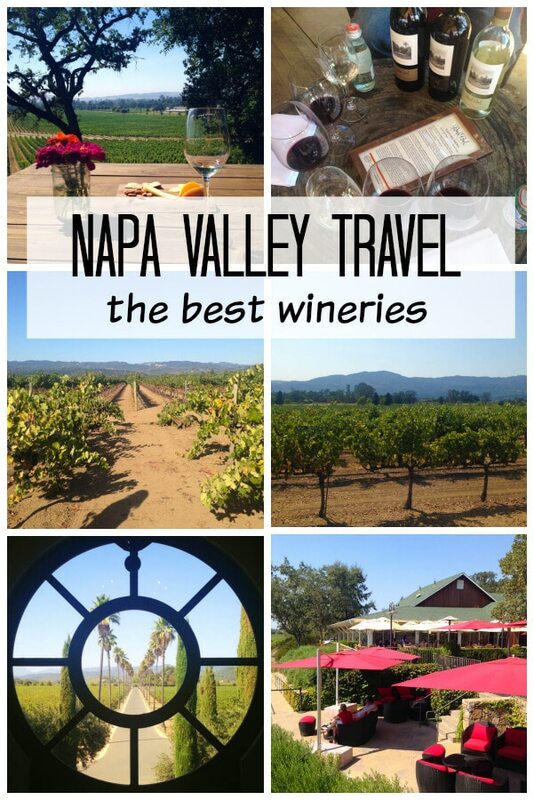 I have never been to Napa Valley but would love to go! I haven't been to Napa in so long! I NEED to go back!! You picked out one of my favorites too: Frog's Leap. Yummy!! This is a great post! I have never been to Napa but I hope we will go one day! Your photos are so pretty! Beautiful photos, Ashley! These wineries sound like great places to visit. Thanks for sharing the info. have a great weekend! Can we talk about perfect timing? I'll be in Napa in 9 days! Thank you! Awesome, Kallie! I will be posting one more recap post about my trip to Napa Valley next week. Let me know if you need any other recommendations! I NEED to get back to napa ASAP! Yes, you do, Erin! 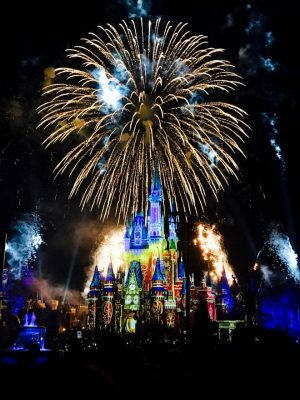 I already want to go back! Great list, Ashley. Thanks. Haven't heard of Round Pond so will check out. I always love Cakebread Cellars. Found them when they were very small and now…. Cakebread is one of my favorite wines to buy! You would love Round Pond, Sherry! Such a great recap! I have yet to visit Napa, and want to go even more after reading your post! !